Energy & Utility Skills offers membership, assurance services and skills solutions to help employers attract, develop and retain a sustainable skilled workforce. 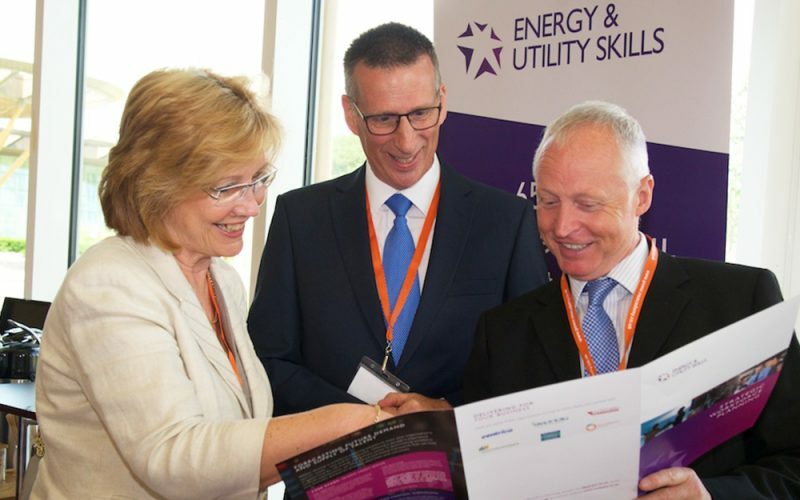 As the UK authority on skills and workforce development in the energy and utilities industries, the Energy & Utility Skills Group can provide the products and services your business needs to grow and stay competitive in an ever-changing marketplace. Quality is at the heart of everything we do. By working closely with employers and key stakeholders in the sector, we have developed a range of assurance services to help ensure that our industries have the skills they need now and in the future. The Energy & Utilities Independent Assessment Service provides a high-quality end-point assessment service to ensure apprentices can do the job they have trained for in a safe, competent and productive manner. An online register for verifying workforce training, qualifications and authorisations, accessible 24/7. We collaborate with employers to develop schemes and programmes relevant to their workforce needs as well as supporting workforce mobility within the sector. Membership brings employers together to collectively identify and address the skills challenges our industries face across our four nations. This provides a platform for strategic thought leadership, collaboration, networking, sharing insights and raising our sector’s profile. Click here to find out more about the benefits of becoming a member of Energy & Utility Skills. Our sector knowledge is our strength. We understand your challenges and offer a range of specialist services to help you attract, develop and retain a skilled and competent workforce. We provide a 360º view of longer-term talent requirements by analysing workforce data in conjunction with market and skills intelligence. We help to attract talent using our sector expertise – working with your in-house recruitment team or providing a full recruitment service. Our team of industry experts work in partnership with employers and training providers to create and deliver bespoke learning. If you would like to talk to us about our services, please contact us on 0845 077 99 22 or email communications@euskills.co.uk.